We LogixGRID always want to keep latest technology in our platform to simplify the usability and to follow that mission we have come up What3Words to deliver a universal addressing system. One of the most vital pieces of information is location in Logistics Industry, at the same time it’s quite difficult also to locate the exact address information and communicate through that. So looking at that critical aspect we decided to present What3Words for the faster response. Apart from the preferred asset classes of office and residential, private equity firms have been taking greater interest in warehousing, logistics and retail real estate. Private equity investors and overseas developers are already looking at opportunities to enter India’s industrial and warehousing sector by investing in various development projects. With the implementation of GST, warehousing and logistics spaces will start to see a consolidation of assets. Unlike earlier (small assets in various states), developers will focus on the development of large-scale, technologically advanced warehouses. India has initiated multi-modal program to reduce logistics costs and make the economy competitive. It has been the biggest and effective decision taken by the government towards transportation industry. This project covers all the aspects of improving logistics and transportation. After grave research on logistics Government has decided to transform the entire logistics business to reduce good’s price, speed up delivery and quality of life. KPIs also need to reflect what is important to your customers and secondly what is important to your own company. Finally you don’t want to be in a situation where it costs you more to collect and analyse the data than you are likely to save through efficiency better utilization and improved productivity. Which Countries Are Falling In Logistics Performance and Why? Singapore has been placed as Asian’s logistic hub for the tenth consecutive year according to World Bank’s Logistics Performance Index report (LPI 2016 report) and seen ranking fall of Cambodia and Myanmar. It is to be believed that emerging economies that implement comprehensive initiatives continue to improve their performance. Fall in global ranking of the south east Asia’s largest exporting and logistics business countries and economics – Indonesia, Malaysia, the Philippines, Thailand and Vietnam – drop by between seven and 21 places. 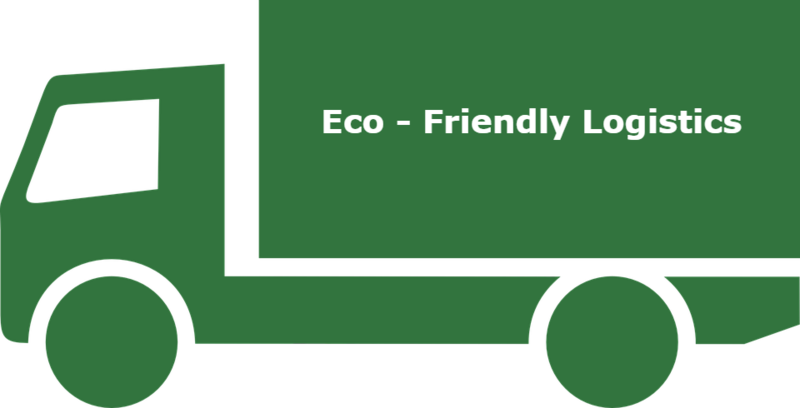 Multitude of trucking companies around the globe are focusing on Eco-friendly logistics. As customers started raising demands about Eco-friendlier logistics and more sustainable environment. Today, many trucking companies are starting to implement a wide variety of sustainable practices to become less dependent on fuel and reduce cost. 1) United Parcel Service – It is known worldwide. UPS has over 2,200 alternative fuel vehicles. UPS also provides the opportunity to allow customers to paperless billing and invoices. FedEx estimated a slight increase in shipping packages due to out-scene marketing In order to handle the 290 million packages, FedEx had taken measures which included increasing seasonal workers, using six-sided cameras to read package labels, investing in improving its network and capping deliveries of retailers. According to a logistics software firm, FedEx achieved a 91% on-time delivery rate during Thanksgiving week, compared to 83% last year. 2) how to prioritize sales activities. SFA tool helps sales people to safely and centrally store their contacts, sales opportunities, activities and scheduled plans in one place, and have uninterrupted access to the database from multiple locations. Rest assured that your data won’t just get lost.